The first stand-alone prosthetic iris in the United States has been approved by the U.S. Food and Drug Administration. 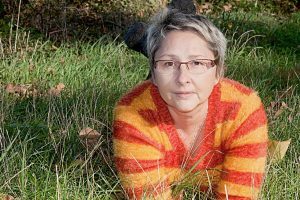 This approval would open doors for patients with certain types of eye damage to get the needed help to enable them to see clearly and also improve their appearance. CustomFlex Artificial Iris, as the surgically implanted device is called, was produced to treat adults and children whose iris is damaged. Iris is the part of the eye that is colored around the pupil. Such damage may be caused by aniridia, a congenital condition in which people are born with a partial or missing iris, or whose iris are missing later in life due to a traumatic injury or melanoma surgical removal. People born with albinism may also have eye problems that could be corrected with the device. “Today’s approval of the first artificial iris provides a novel method to treat iris defects that reduce sensitivity to bright light and glare. It also improves the cosmetic appearance of the eye in patients with aniridia.” Said Malvina Eydelman, M.D., director of the Division of Ophthalmic, and Ear, Nose, and Throat Devices at the FDA’s Center for Devices and Radiological Health.  He further stated that patients with iris defects may experience severe vision problems, as well as dissatisfaction with the appearance of their eye. 1 in every 50-100,000 Americans have congenital aniridia is rare, people with this disorder have complete or partially absent iris. Since the iris controls the amount of light entering the eye, those with aniridia often have a sensitivity to light and other vision problems. The CustomFlex Artificial Iris is inserted via surgery and is held in place by the eye’s anatomical structures or by sutures if need be. It is made of thin, foldable medical-grade silicon and can be custom-fitted and colored according to each patient’s requirements. Nearly 400 adults and children with aniridia or other iris defects were studied and they found the device to be safe and effective. 70 percent of participants studied reported significant decreases in light sensitivity and glare and noted an improvement in their health-related quality of life. The rate of adverse side effects is also low. According to the FDA, the CustomFlex Artificial Iris is not for use in patients who have abnormally small eye size, uncontrolled or severe chronic inflammation, untreated chronic glaucoma, abnormal blood vessels on the iris, cataract caused by the rubella virus, certain kind of damaged blood vessels in the retina, and inner eye infections. It is also not recommended for pregnant women. 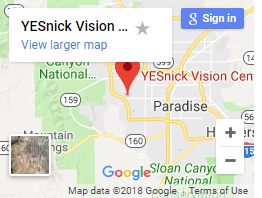 Dr. Yesnick is a low vision optometrist based in Las Vegas and welcomes patients from Las Vegas to come in for comprehensive eye exams, treatments, and fitting of contacts, lenses and other devices that will help improve your vision. 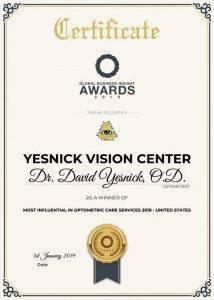 Learn more about the low vision center at Yesnick Vision on our low vision page.